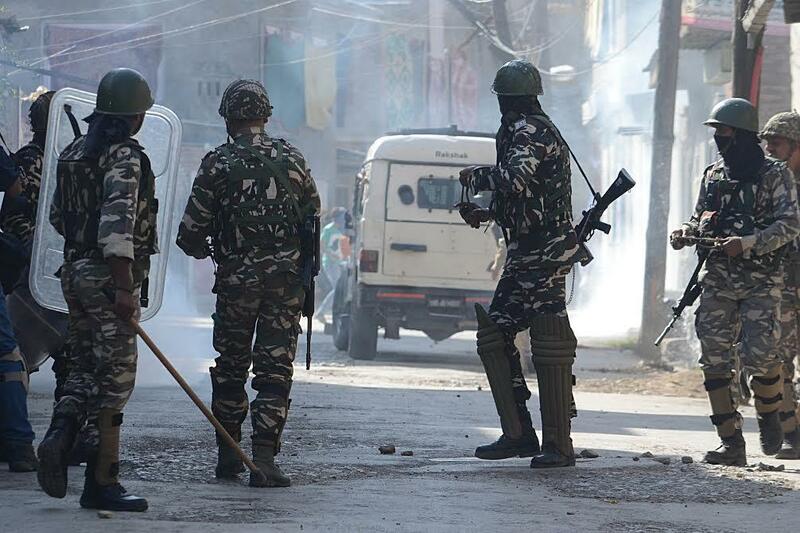 Srinagar, Feb 10: About a dozen people were injured when security forces burst teargas shells and fired pellets to disperse demonstrators trying to disrupt Cordon and Search Operation (CASO) in south Kashmir district of Kulgam on Sunday. Official sources said that immediately as security forces launched a CASO in village Kulgam, Kulgam, hundreds of people, mostly youths, hit the streets in the nearby areas and tried to disrupt the operation. However, security forces and state police personnel, already deployed to prevent demonstrators to march towards encounter site, swung into action and chased them away. The demonstrators later reassembled and pelted stones at security forces, burst teargas shells and fired pellets to disperse the protestors. The wounded were taken to a local hospital. Authorities have suspended mobile internet service in the district as a precautionary measure to prevent the spread of rumours.